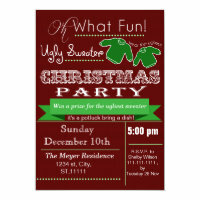 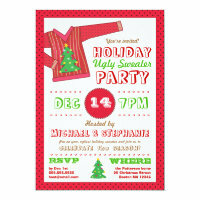 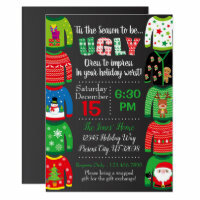 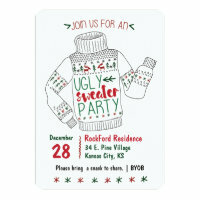 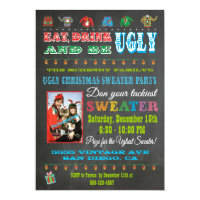 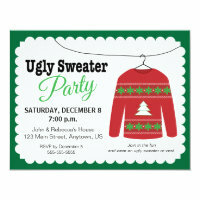 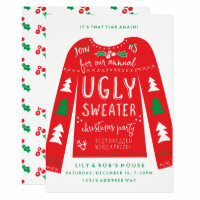 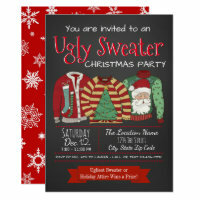 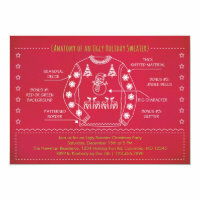 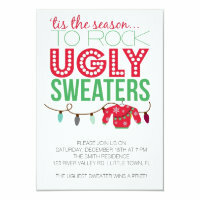 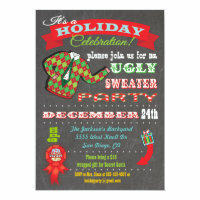 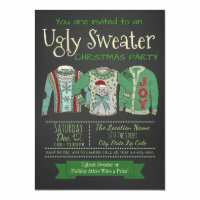 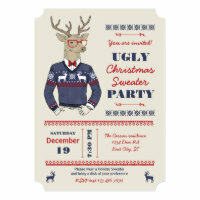 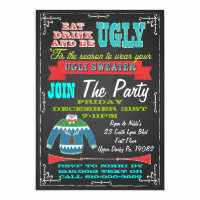 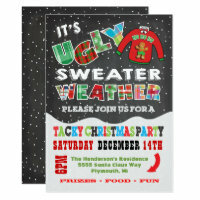 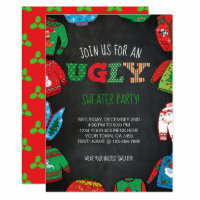 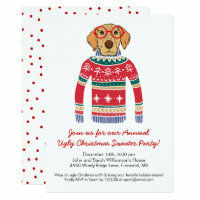 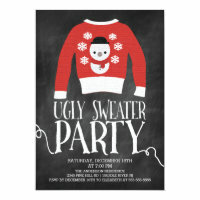 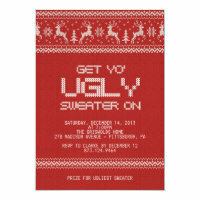 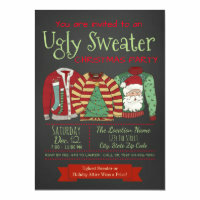 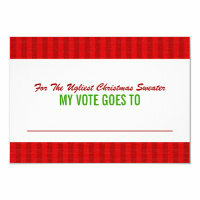 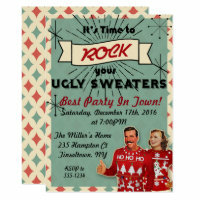 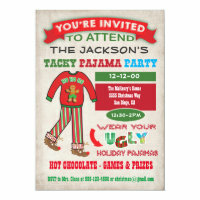 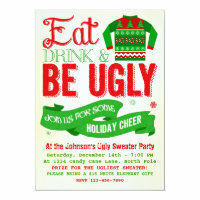 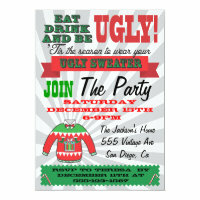 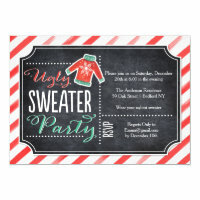 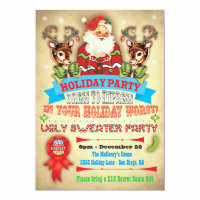 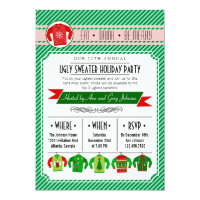 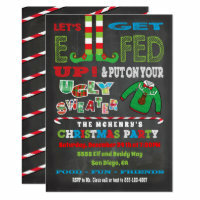 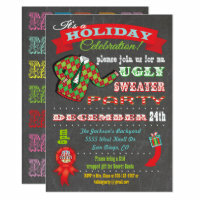 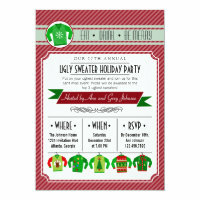 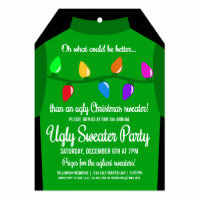 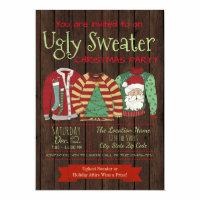 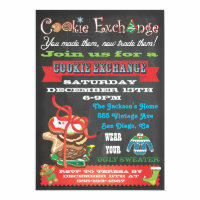 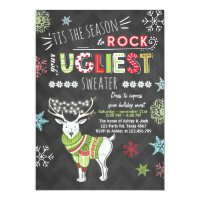 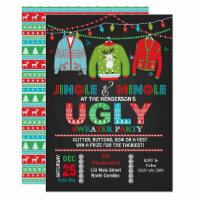 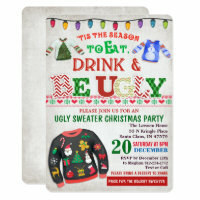 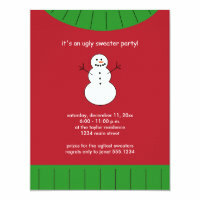 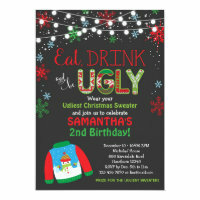 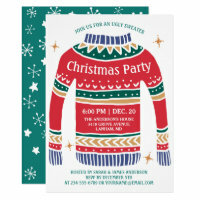 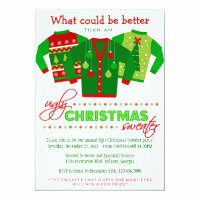 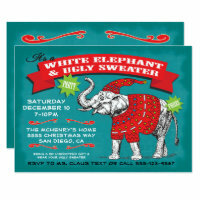 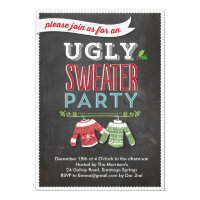 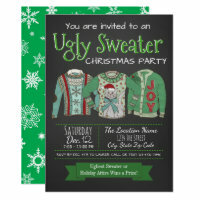 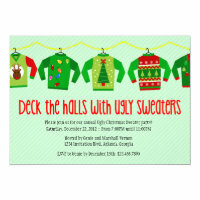 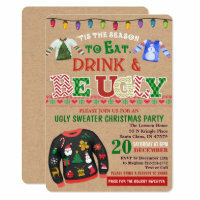 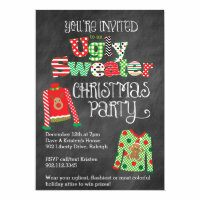 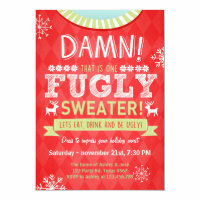 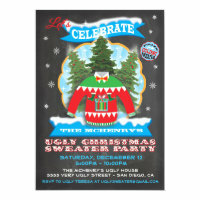 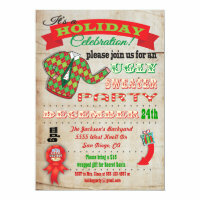 Ugly Sweater Christmas Invitations Make custom invitations and announcements for every special occasion! 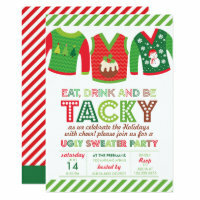 Throwing a tacky Christmas sweater party? 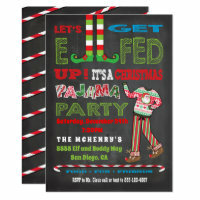 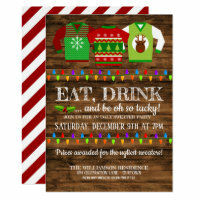 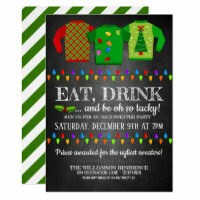 Then you'll love our cute and festive Ugly Christmas Sweater Party Invitations with a reindeer, snowman and Christmas tree sweater hanging from a line of colorful, bright tree lights.